BLACK HAWK is in black and white color . 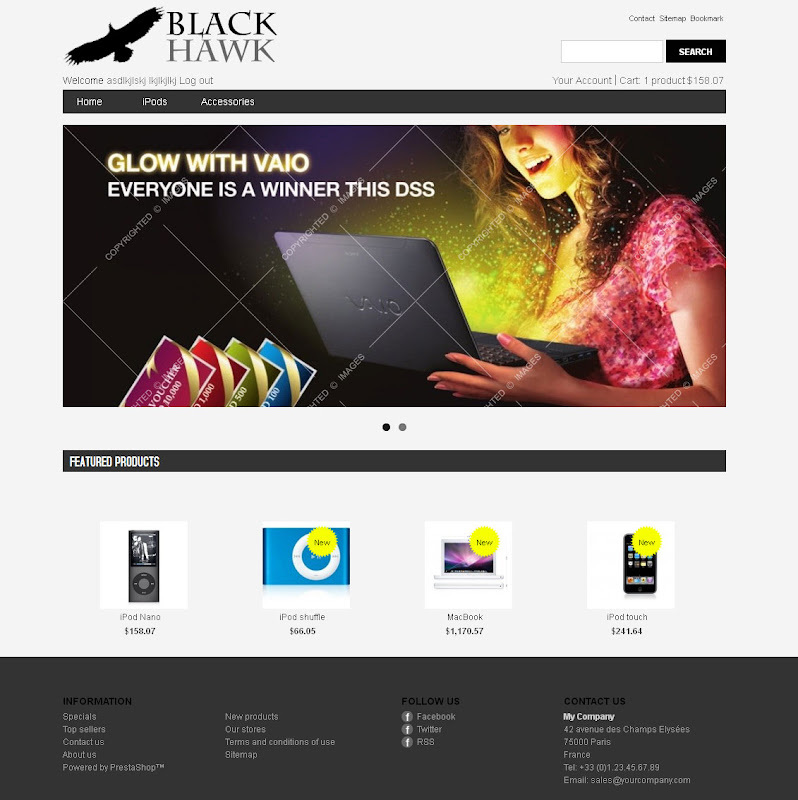 Here we have included responsive front banner and one of the great feature is “Reponsive Prestashop Theme”. It’s free to download. Yes, Completely free to use in your eshop. This themes is compatible in 6 different language – Br, Fr, It, De, Es, En respectively . All the language was translated through google online language translation tool. We have integrated quick cart view once you hover link of cart in header portion. This Book Store 1.0 responsible themes is in red and light yellow color and most suitable for those seller who want to increase their sales on the title of books and magazine.